Hydrangea Sunday Fraise will transform a border, balcony or patio display with masses of Strawberry sundae coloured blooms every summer. 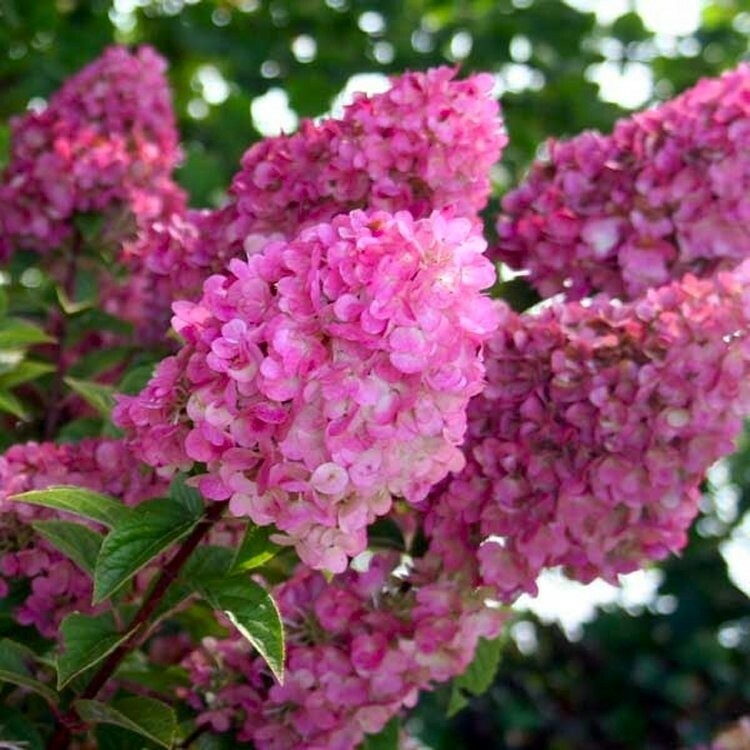 Perfectly proportioned, the Sundae Fraise Hydrangea will produce bushy red-brown stems that will carry an abundance of green and white flowers that turn pink to burgundy red from August onwards. Hydrangea 'Sundae Fraise' has a more compact habit than its cousin 'Vanille Fraise' making it perfect for small gardens and growing in containers. 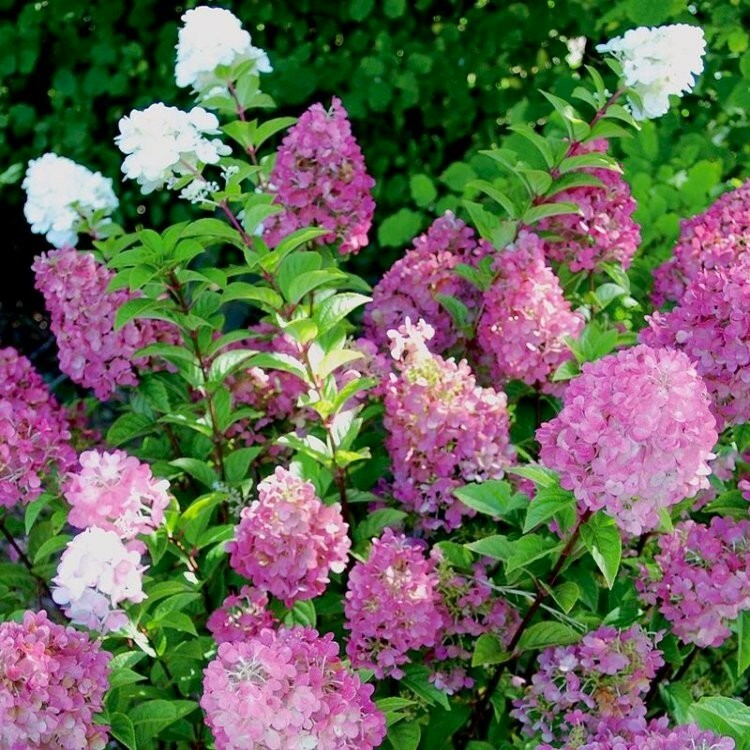 As with most hydrangeas, flower colour will vary depending on soil type and climate, although it is more stable than most. Try planting several in a row for an unusual hedge or colourful backdrop to a garden border. Supplied in approx 3 litre containers.